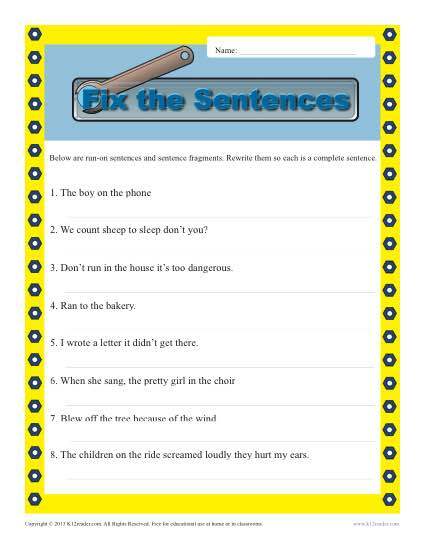 Your student will be a grammar handyman in this worksheet by fixing the run-on sentences and the sentence fragments. It’s perfect match for Common Core Standards for 4th grade Conventions of Standard English. You may also use them for other grades as needed.